Mobile payment provider PM Connect has secured a contract with Africa’s largest mobile carrier Vodacom. 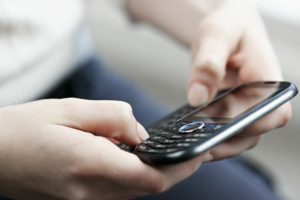 Birmingham-based PM Connect’s technology allows consumers to pay for lifestyle and sport content, videos and articles through carrier billing in a few clicks – adding any purchases directly to their phone bill. The partnership with Vodacom, which has a 43 per cent market share in South Africa, will see the firm expand its subscription services for international clients – including wrestling giant WWE – to Africa for the first time. The deal builds on PM Connect’s growing presence in the African market built over the past two years. “This marks a key step for PM Connect as continued expansion into the African market features heavily in our ongoing growth plans,” commented PM Connect group commercial director Chris Purdie. “We’re looking forward to helping our clients access new audiences through the provision of quality sporting entertainment, and boosting accessibility of products and services for consumers. The contract has been announced ahead of AfricaCom, Africa’s largest technology, media and telecoms conference. The event will see 14,000 attendees, including the PM Connect team, gather in Cape Town between 13-15 November for a series of speeches, workshops and networking opportunities. Purdie added: “With the African carrier billing payments market set to triple in the next five years, growth in the continent is a key opportunity not only to drive revenue, but to introduce global brands to entirely new audiences. PM Connect recently announced a contract win with the NBA and inclusion in the Sunday Times Hiscox Times Tech Track 100 – which ranks the 100 British tech companies with the highest growing sales – for the second year running.